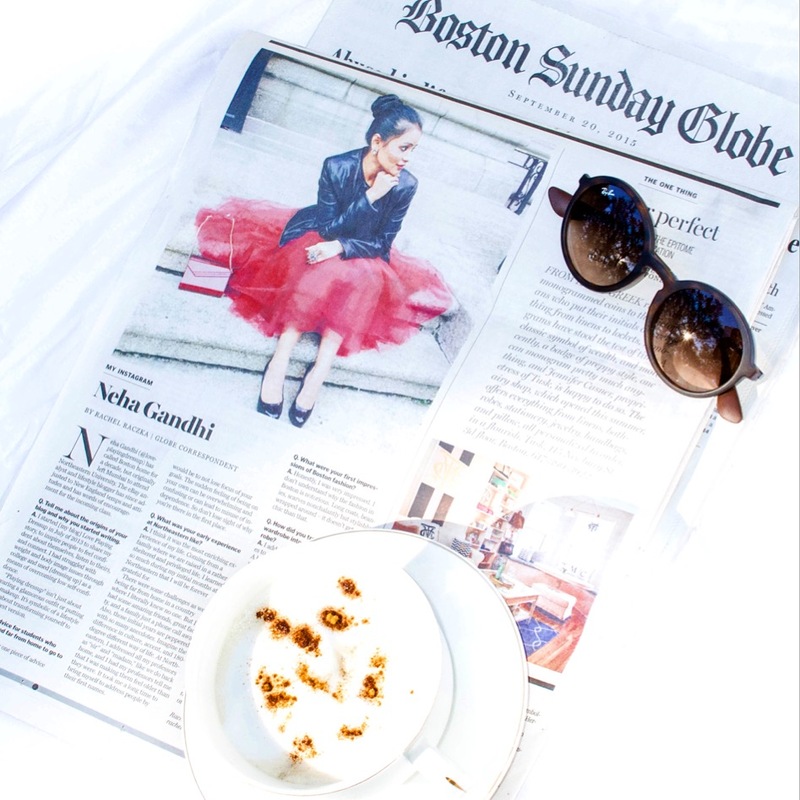 If you follow me on Instagram, Facebook & Twitter – you probably know that I was recently featured in the Boston Globe. I was asked to share the story of my blog, my background ( coming from Bombay , going to Northeastern University, challenges of being far from home) and provide some tips to the incoming class. I am deeply humbled by the feature and the support I have been receiving since. It is very overwhelming. I cannot express the excitement of seeing my picture on almost half the page and more than that the pride in my husband’s eyes and in my mom-dad’s voices on the phone. It must have been a lucky week – because I was also featured in the October Issue of Instyle Magazine. (go straight to Pg 54) It came as an absolute surprise to me – turns out – I do love surprises! My heart is filled with so much gratitude for everyone ( including all you wonderful people) – all of you who have been a part of this journey with me. I am constant believer of – the best is yet to come – so cheers to that but for now – let me say, Thank You!